AJ was a 4-sport high school athlete who played club and intramural sports in college. While obtaining his masters and licensure in Social Work, AJ began training at HSF in late 2012 after he felt his training at home and at a "Globo Gym" had gone stale. He was surprised to find eye-opening and immediate effects of having personal training - which he regretfully admits he once felt was a scam - stemming from thoughtful and purposeful programming. AJ decided to study the National Association of Sports Medicine (NASM) and began coaching at HSF, then quickly taking on more classes and individual clients before becoming owner and head coach in 2017. AJ believes that effective fitness practices promote personal growth toward goals, improved confidence and a sense of community. He strives to celebrate all forms of physical activity, utilizing meaningful, varied, scientific and thoughtful programming. Fitness only became part of Paige's life after turning 30. She turned to the "traditional" gym then later on to boxing. After a life-altering event, late in 2009, Paige started her journey to keep her mind and body active. 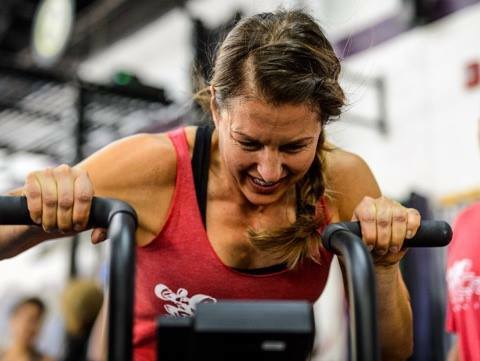 In August 2010, she stumbled onto Crossfit and hasn't looked back. When Paige was in her 20s and 30s, she experimented with Vegan and Vegetarian and thought she had her diet in check. Then after CrossFit, she later realized that she was a "skinny fat" chick. After incorporating a flexible macro-nutrient diet and lifting heavy weights, Paige says she's stronger, faster and more confident now at 40 than she was at 20! "It's fun trying to compete with girls half my age and keep up most of the time!" She then became a CrossFit Level 1 and CrossFit Kids certified trainer. Since beginning his career in the fitness industry in 2005, Will Harris has successfully applied his training approach to clients ranging from high-school athletes looking to earn scholarships, well known actors, and everyday people just looking to live longer and healthier lives. Will started his journey as a fitness professional climbing the ranks at metropolitan health clubs such Bally Total Fitness and New York Sports Club. After realizing that corporate style gyms were more concerned with sales than members actually succeeding, Will decided to branch out and start his own fitness business with a results-driven approach. 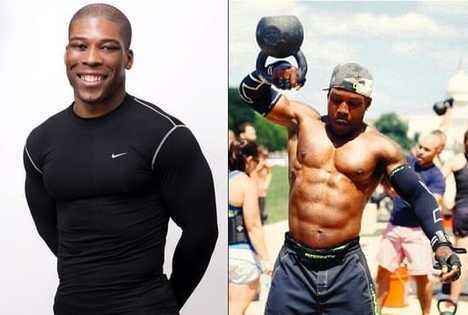 An avid athlete himself, Will got into CrossFit in 2007 as a way to keep the competitive fire burning after playing numerous sports in high school. His pursuit of new challenges also led to discovering his passion for Strongman training. Over the last few years, Will has become a recognizable name in the Strongman community as a nationally ranked competitor and also as the personal coach of some of the top local competitors in the sport.